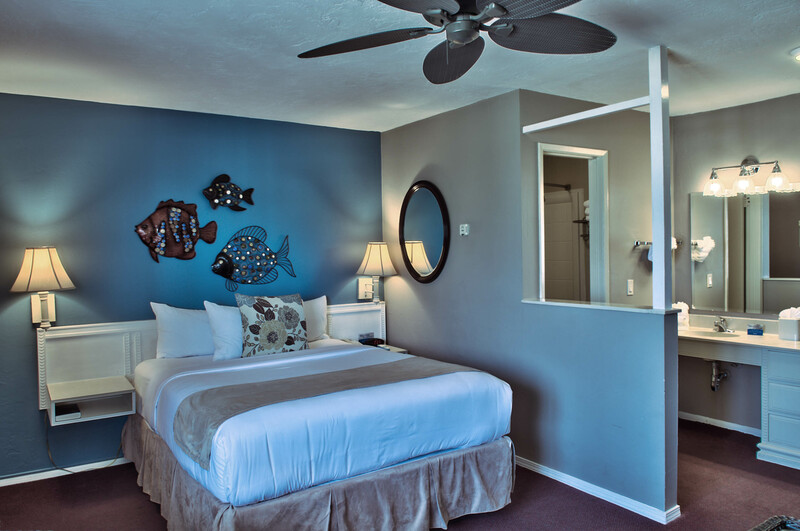 The Lovers Point Oceanfront Inn offers a number of options for your stay. 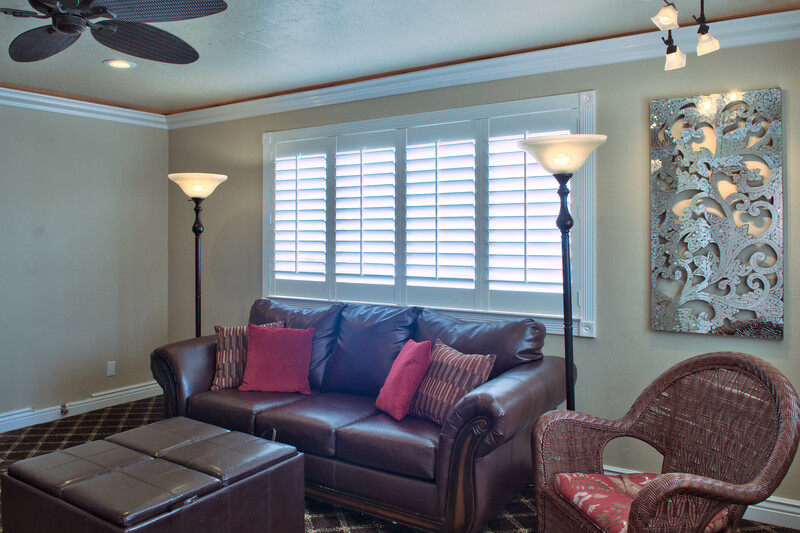 From our comfortably appointed first floor rooms and our relaxing second floor choices to our spacious third floor rooms, we have the perfect accommodations for you and your budget. 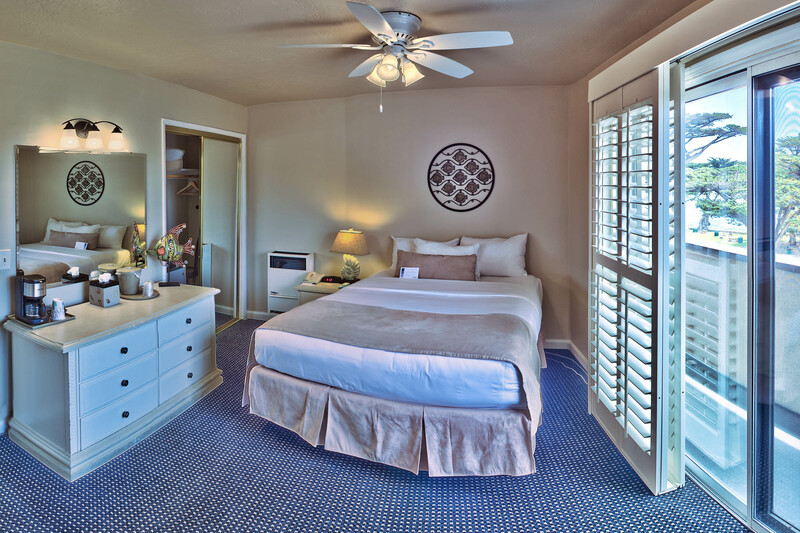 Please take a closer look at some of the options that await you at the Lovers Point Inn. Our First Floor Queen rooms offer clean and comfortable triple sheeted beds with upgraded mattresses. Featuring free Wi-Fi, a mini-fridge, microwave, iron, ironing board, hairdryer and luxury bath amenities. Start each morning with a complimentary extended continental breakfast. Lovers Point Beach and the Monterey Recreational Trail are just steps from your room. 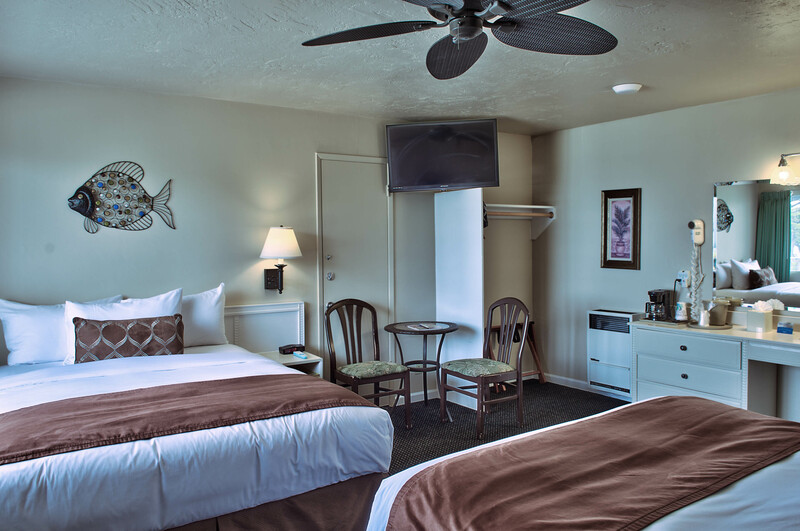 The Second Floor King rooms offer clean and comfortable triple sheeted beds with upgraded mattresses. Featuring flat-screen TV’s, free Wi-Fi, a mini-fridge, microwave, iron, ironing board, hairdryer and luxury bath amenities. Start each morning with a complimentary extended continental breakfast. 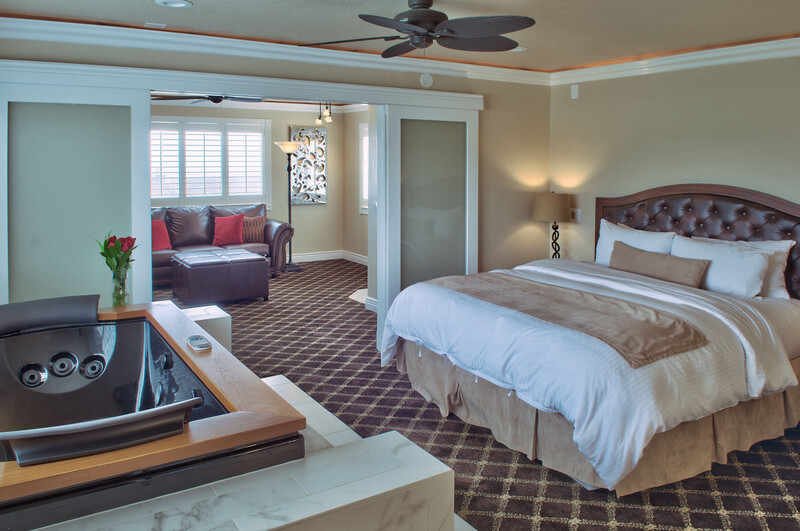 Lovers Point Beach and the Monterey Recreational Trail are just steps from your room. 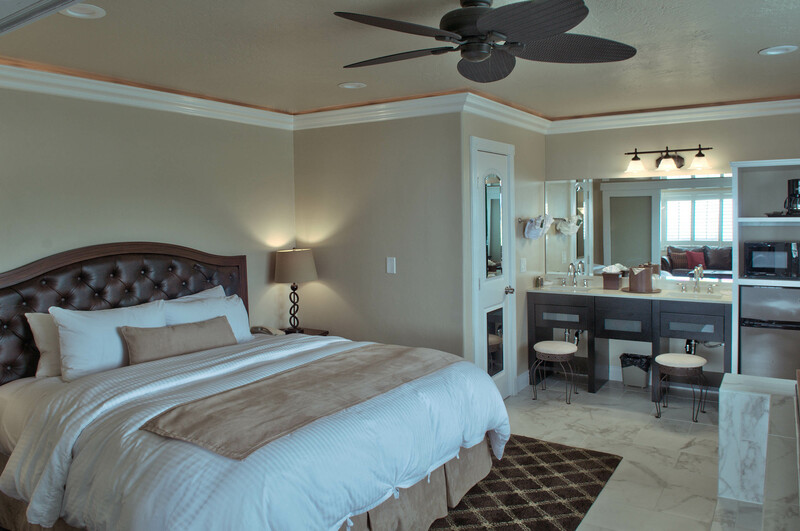 Our second floor double queen rooms are perfect for families. 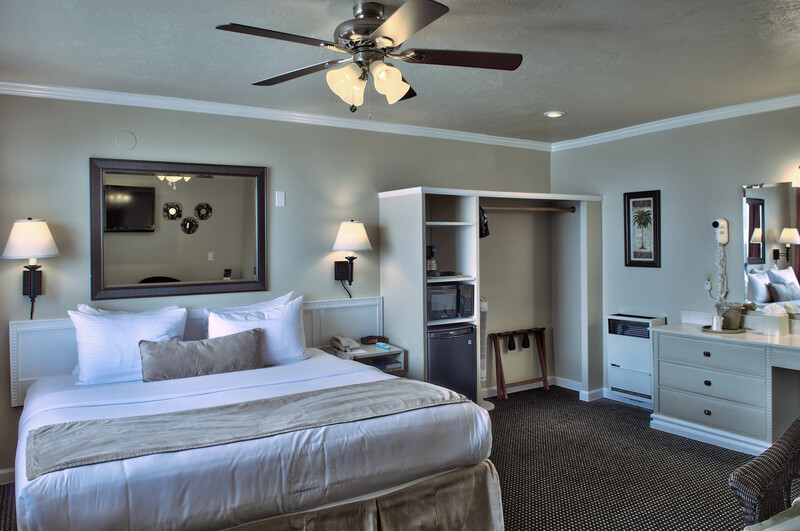 Our double queen option offers clean, comfortable triple sheeted beds with upgraded mattresses, in room Wi-Fi, a flat-screen TV, a mini fridge, iron, ironing board, microwave, hairdryer and luxury bath amenities. 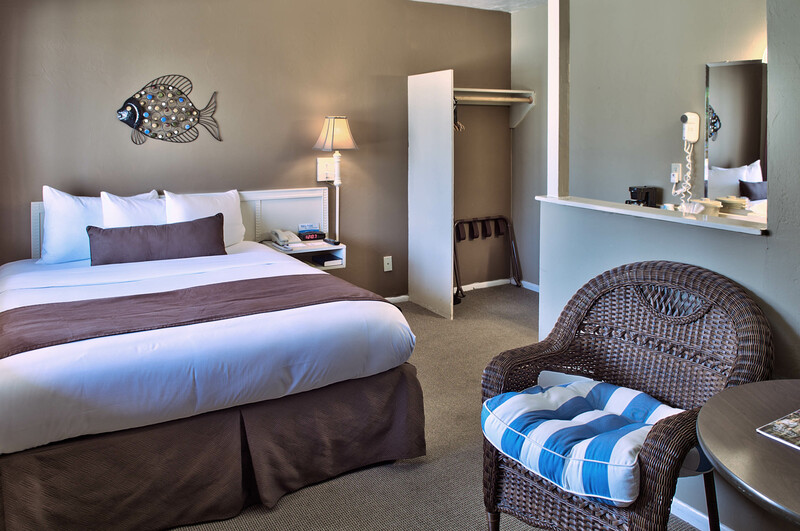 Our Balcony Queen room offers a private balcony and a clean, comfortable triple sheeted bed with upgraded mattress. This upgraded room offers a flat-screen TV, free Wi-Fi, a mini-fridge, iron, ironing board, microwave, hairdryer and luxury bath amenities. Enjoy breakfast on a private balcony complete with a table, chairs, and an ocean view. Start each morning with a complimentary extended Continental Breakfast. 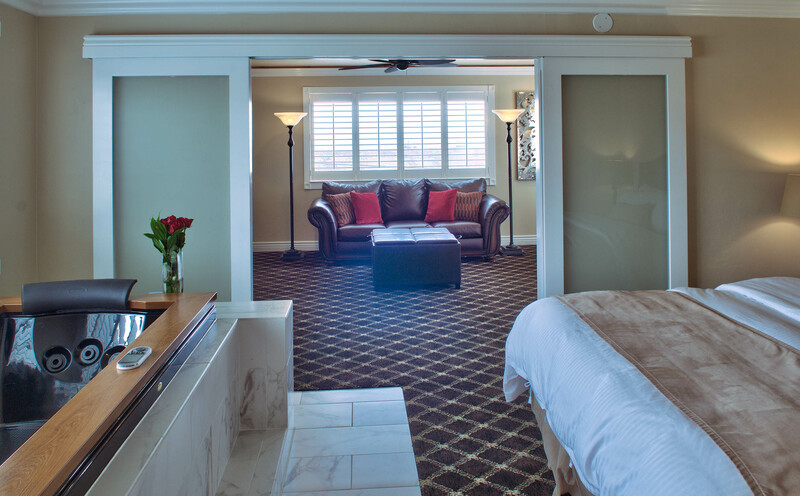 Lovers Point Beach and the Monterey Recreational Trail are just steps from your room. 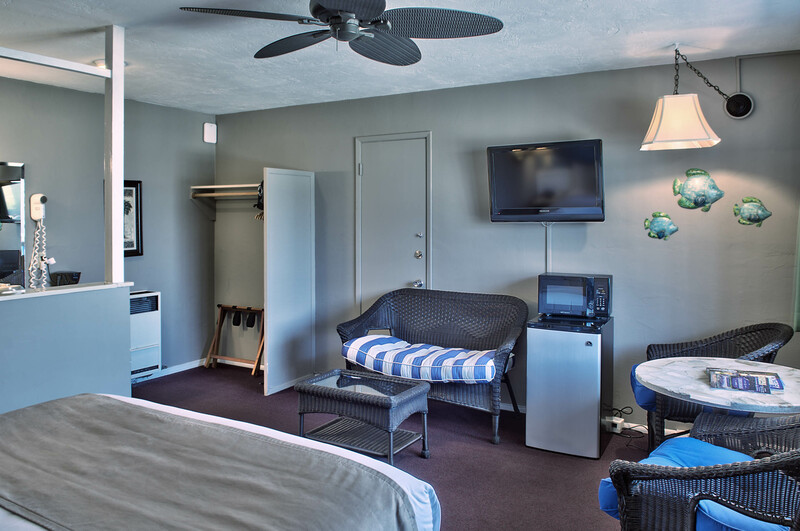 Our Third Floor Double Queen rooms offer clean and comfortable triple sheeted beds with upgraded mattresses. 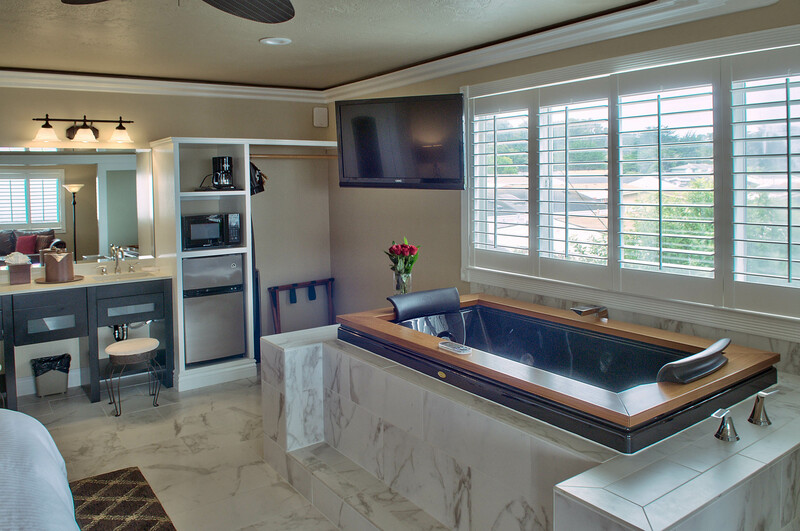 With flat-screen TV’s, free Wi-Fi, a mini-fridge, microwave, iron, ironing board,hairdryer and luxury bath amenities. Start each morning with a complimentary extended continental breakfast. Lovers Point Beach and the Monterey Recreational Trail are just steps from your room. 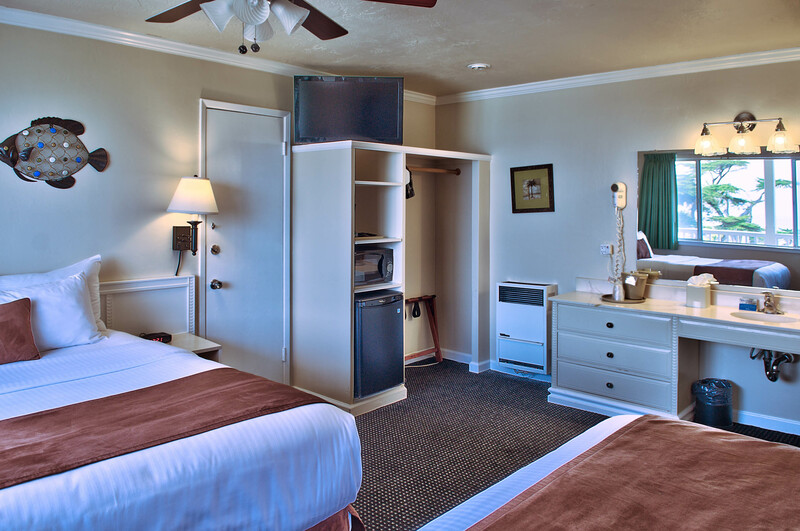 Our King Bed Third Floor rooms offer clean and comfortable triple sheeted beds with upgraded mattresses. Featuring flat-screen TV’s, free Wi-Fi, a mini-fridge, microwave, iron, ironing board, hairdryer and luxury bath amenities. Start each morning with a complimentary extended continental breakfast. Lovers Point Beach and the Monterey Recreational Trail are just steps from your room. 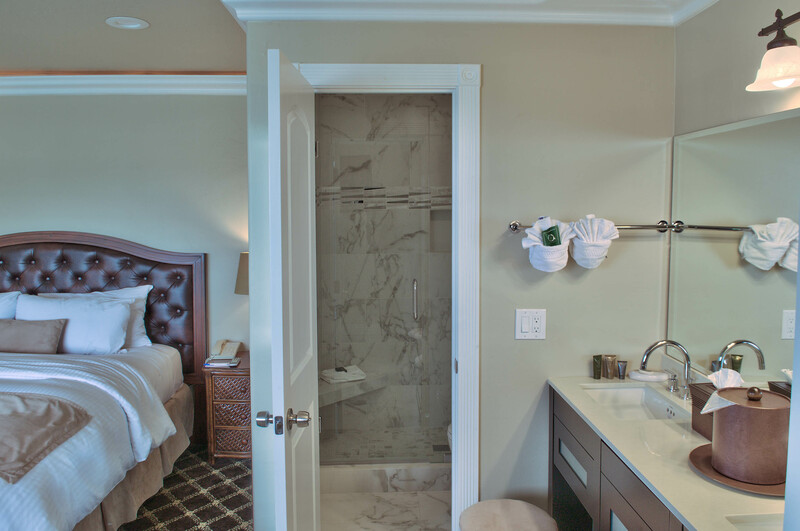 This luxury suite offers a private bedroom with a clean and comfortable triple sheeted King bed with upgraded mattress, marble Jacuzzi tub, and living room with spacious accommodations. 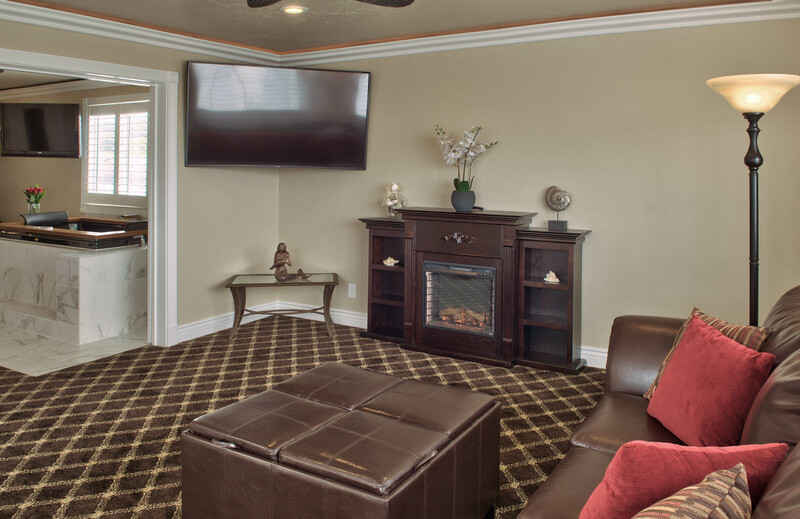 Featuring two flat screen TVs (65″ and 42″), colonial electric fireplace, free Wi-Fi, a mini-fridge, microwave, iron, ironing board, hairdryer and luxury bath amenities with his and her sink. Start each morning with a complimentary extended continental breakfast. 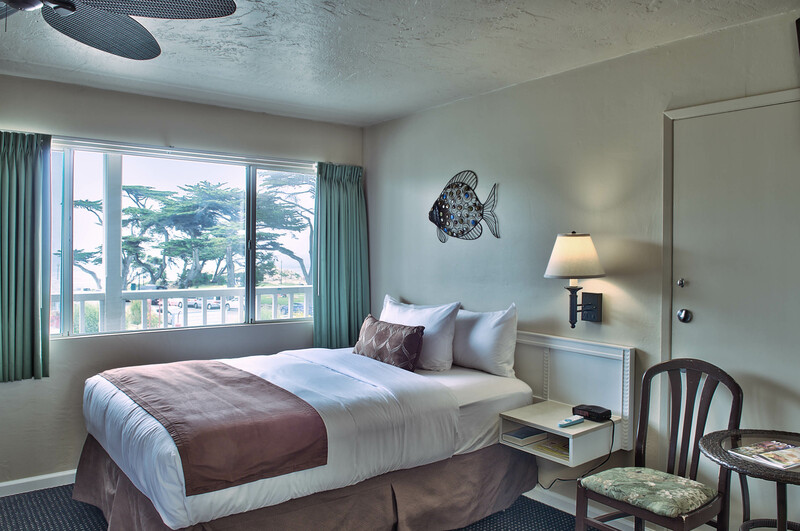 Lovers Point Beach and the Monterey Recreational Trail are just steps from your room. Ready for some rest & relaxation? Subscribe to our mailing list for exclusive offers and promotions. Copyright © 2018. Website design by Rocket Jump Media.